Determine those things you love spending money on and relish the experience. Linger in that feeling of joy as you count out the cash or write out the check. Ponder and examine this feeling, and keep it in the front of your memory. Before you write out checks for your bills or other expenses, draw this feeling up first. As you write out a check for your rent or mortgage, give thanks for what you’ve received. Take a moment to generate gratitude for the home that you sleep safe and warm in every night. Surround yourself with those who have what you want to develop. If you’ve already got a good handle on your own money issues and prosperity consciousness, you can probably hang around those who struggle and not suffer as a result. You can then be a positive influence on them. If, however, this is an area where you have difficulty, at first you may need to avoid those with lack mentalities. Remember when you were young and your parents didn’t let you play with kids they thought would be “bad influences?” Well, if you’re around people who mirror those qualities or issues you want to leave behind, it’s going to be a lot harder to change. Begin to seek out people who can model for you what you want to become. Surround yourself with positive, successful people.
. It is associated with the will or desire. When you must be with folks who demonstrate negativity by complaining or worrying about what they don’t want, remain awake and alert! Use the experience to remind yourself that this is not what you want, and not what you’re creating in your life anymore. Use it as a reminder to be MORE positive. If you want to get fit, and your whole family is overweight and out of shape, you probably can’t avoid your family, but you can look at their health problems or low energy and allow it to reaffirm your dedication to creating greater health and vitality in your own life. Visualize/Ask for what you want, and be specific. 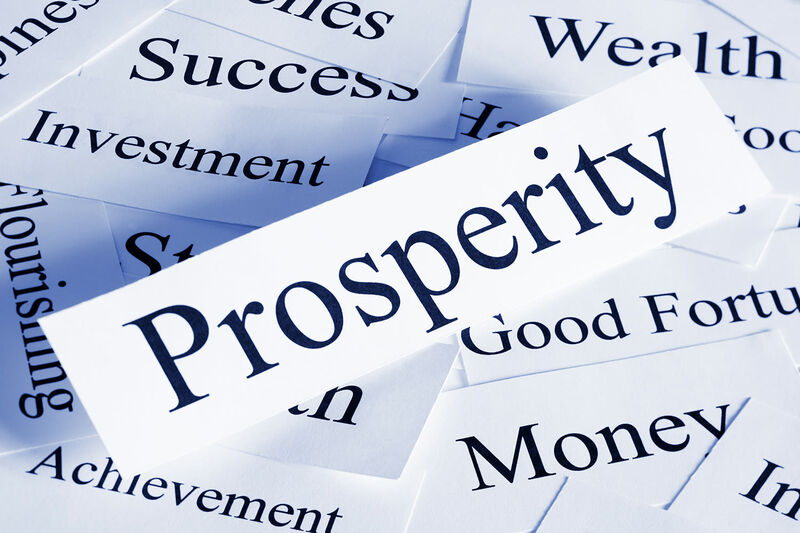 As described in the article entitled “Prosperity Consciousness,” begin by determining how you want to FEEL. Get into that feeling state by imagining yourself fulfilling your dreams or desires. This is the key element in all manifesting work. It’s not getting crisp in the details that leads to success, it’s getting deeply into the feeling state you desire that works magic. In fact, once we get that feeling state moving, we’re wise to surrender the details to the Universe. Holding on to what we think will make us feel a certain way can block the Universe from delivering what would indeed make us truly happy. Look for reasons to be grateful. Gratitude is in itself PROSPERITY! All we’re truly seeking when we want anything is a feeling of fulfillment and well being, that we are loved, cared for and blessed. That feeling can be ours in any moment when we stop and reflect on all we already have. Even if we just lost the spouse we think we can’t live without, got fired because we were so neurotic about the spouse, and found out we had two cavities at the dentist, we can give thanks we we’re still alive, our whole lives are ahead of us, and we have the opportunity to start over with unlimited potential to create new relationships and career opportunities. We might even give thanks for the state of modern dentistry; two hundred years ago we might have been giving thanks we had any teeth left! Opportunities to be grateful abound! Reflect on all the abundance you have now and in the past. If you’re reading this, you have access to a computer and the Internet. How amazing is that, when you stop to think about it? Imagine the pioneers battling to survive the winter on canned goods, half rotten potatoes and squirrel meat, in cabins heated by a wood-burning stove. Our lives are incredibly rich with comforts and blessings; we have only to look for them. Remember that what goes around, comes around. We can apply this at a metaphysical level in what we think or wish for others. I have a thriving personal spiritual reading practice, for example, which is something that many psychics or readers find difficult to manifest. While I strive to provide a great service at a great price, I also wish each and every client not only total satisfaction, but also that the money they pay for the reading be returned to them tenfold. They don’t even know I’m wishing this, yet I know it is in part what keeps the abundance flowing through our lives. On a more literal level, be generous! If you’re wishing your husband would come over and rub your sore neck, but you know he’s tired and you don’t want to ask him, get up and go rub his neck! If you’re wishing someone would invite you out to dinner, be the one who invites! Give without attachment to any return, however, for if you give in order to receive, you’ve not really given anything, you’re still holding onto it energetically. It’s not only draining to “give” in this way, but also often disappointing. Remember that what goes around, comes around. You may even end up rubbing that man’s neck for three years, and never getting any neck rubs back. What may happen, however, is that the Universe will lead you out of that relationship, and toward a relationship with someone who is generous like you. If you find yourself worrying about something, or locked into a “rut” and unable to move forward, just do something. MOVE. Either take some action, even if it seems impractical or silly, or move physically; take a walk, go for a run, swim in the ocean, clean out your closets. Taking action will get your energy moving again, make you feel empowered, and distract your conscious (limited by beliefs and prejudices) mind so your higher mind or subconscious/creative mind can lead you out of the woods. Similarly, if you want new clothes, get rid of the old ones! If you want a new couch, get rid of the old. If you hang onto it because you’re afraid you’ll be couchless, then you need to examine your beliefs and expectations. Make room for the new good you desire in your life. Play with manifesting. Begin small and light. Some of my favorite things to manifest when I’m “playing” are flowers and friendly, happy people. Last summer I decided to manifest flowers, and soon I had flowers everywhere. Not only did my new sweetheart love to show up at the door with a bouquet in hand, my other friends and family began sending me flowers, dropping by with flowers, and flowers even began sprouting up in my yard in unexpected places. It was delightful to watch it all unfold! Friendly, happy people are easy and fun to manifest as well. Next time you go out with someone who shares your spiritual outlook and understands this idea about how we create our own realities, join forces to manifest friendly, happy people. The synergy you create together should lead to a very pleasant and interesting evening. Use affirmations. Write them, say them, sing them, dance them, FEEL them. The infinite and endless abundance of God flows ever through me. The Universe is abundant, therefore, it is natural to feel abundant. As a child of the Universe, I am naturally at ease, and all my needs are met. I embrace goodness for myself and others. Nothing is too good to be true; anything is possible. With God as my Source, anything can happen. I give freely and fearlessly to life and life gives back to me with fabulous increase. I let go of worn out or obsolete conditions and relationships and allow the unlimited abundance of God to flow into my experience now. I feel good, and in feeling good, I know the heart of true abundance. In seeking to express my highest potential, I am honoring the God within me. I have all the resources, time, energy and wealth to do what I want in my life. I’m always in the right place at the right time, doing what I’m meant to do. I think and dream in unlimited ways. The more I joyfully give, the more I gratefully receive. I bless all channels of my unlimited supply of wealth, prosperity, abundance, happiness and good health. I take my first step into a new life today. I accept today more good than I experienced yesterday.